Again “better late than never” here are my thoughts on Bethesda’s highly anticipated sequel to the Fallout franchise, many still claim to be a worthy candidate for the title of game of the year 2016. 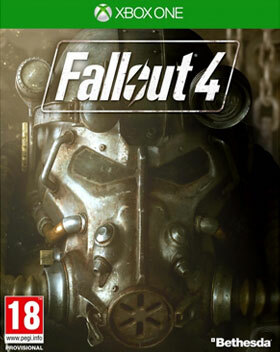 For me this was the first Fallout game I have ever purchased and played. Yes, I always heard that the previous parts were great from a ton of friends, but I never got into them because I thought those games were just too much for me to handle. Nevertheless I guess there comes the point where curiosity wins and you just have to experience it for yourself. Unfortunately the game came nothing short to my mostly negative expectations and to this day I have neither finished it nor do I think I ever will. First of all Fallout 4 is not a super pretty game… talking about the console versions, of course. That being said I again have to emphasize that graphics don’t really matter to me, but at the end of the day this game clearly false under the label “wannabe next-gen but really isn’t”. 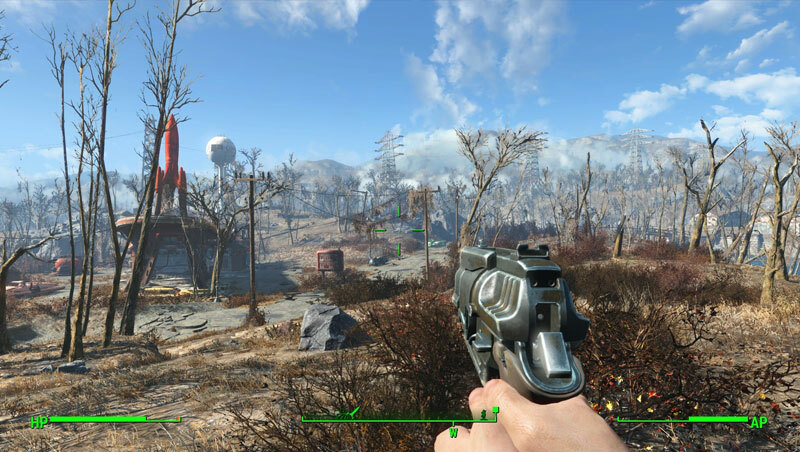 It’s no secret that Fallout 4 uses an older engine instead of a new one that would have most likely worked way better with the next-gen consoles. Years past the release of our next-gens and already on the brink of becoming outdated with Sony’s new Playstation 4 Neo and the Xbox Scorpio, I am sorry to say that something like this shouldn’t pass anymore. - At least not as nominee for the game of the year 2016. Secondly Fallout 4 is – at least was, at the time I’ve played it – full of bugs and problems. It simply felt like a mostly unfinished product to say it with different words. While the quest and the story part was naturally mostly working, to me especially the “new” features of this part felt as if they were just implemented yesterday and shipped without thorough testing and quality assurance. As the old “base-builder” and horder that I am naturally the Minute-Man build your bases/refugee camps mechanics of the game got most of my attention. Unfortunately they didn’t live up to even half of my expectations; Why aren’t the already present buildings that survived the nuclear bombs becoming more and more pretty as you develop your settlements? – It is really annoying to see people live inside of houses with gigantic holes in the roof. I mean, yes, we are dealing with the post-apocalypse here but still…things are progressing, the survivors are rebuilding and repairing, or not? Why won’t they at least repair their cheesecakes of houses so that it doesn’t rain inside? Honestly I haven’t seen one single building part that looks somewhat nice. Why does everything need to look so messed up and improvised in this game? – I think atmosphere and coherence is really important but at least to a certain degree the game could have some aesthetics for those of us who like to build something nice. Just imagine you were in that situation and you could rebuild a small house for yourself; Would your skills regarding wood-work really be so bad that you couldn’t even nail to wooden boards together without leaving cracks of several centimeters? Everything built in this game looks as if it was done by a four year old! – I don’t know about you but that seriously destroys the immersion to me. But besides the missing optics, when it comes to settlement building, I think you understand what I meant with “it felt like a mostly unfinished product”: The few tutorials we actually get are short and imprecise, the more important ones are simply missing and require your own online research. The whole placing of objects is complicated, misses key features in terms of usability and on the top of that does not work way too often… seriously… objects are falling through each other, wires won’t connect and not only people but even cows get stuck inside and might even block your way out, leaving you with no other choice than fast-travelling out of a room! What annoyed me the most however was definitely the fact that there was no way of salvaging your collected items into the base resources you need to build things, other than dropping all of them onto the ground and manually dismantling them before storing the resources in your chest. – I am sorry, I might be a bit picky and probably super stupid to do that, but I don’t want to have three desk lamps stored in my chest and need to count the single resources that would yield from the top of my head. I want to see at a glance how much copper, how much iron and so on I have at my disposal. And lastly there were way too many settlements. I mean, c’mon! If you were to (re)build all the possible settlements in the game you could alone from that reach a playtime of 50 hours for sure. At some point it all just gets too much… which is also the last major point where this game – as ridiculous as it sounds according to my expectations – failed for me. The game is simply too big yet surprisingly empty to me. There is too much to do, too much to see, too many quest and side quest and distractions… seriously, why do people have the need to get lost in all this indulgence? Can we not have a game that doesn’t have 1000 quests and meaningless repetition but instead something a bit more momentous and to the point, together with great incentive to play the whole thing again? I am really disappointed that Fallout 4 for me was again another game where I was constantly watching the clock ticking off its hours but getting no progress or achievement along with it. After a while the repetition kicks in and – at least to me – everything there is too do becomes nothing more than a burden and a pointless, time-consuming task; “Do you really want to go inside that door?”, I often asked myself, while running around across the vast map. Sooner than expected I usually began to answer it like so: “No, actually I don’t want. It’s another small location in there. I simply have to kill all the enemies and collect all the garbage lying around. Then I will have to travel back to base and dismantle all that crap, put it in the correct boxes and drawers… until I am back on the way to the main quest about 2 hours will have past and I will have to go to bed.” Isn’t that rather sad? Unfortunately I think so. Honestly I get a similar feeling in most of the modern games, but sometimes there is at least something that motivates me to continue. Be it for example the story or the battle system but Fallout 4 didn’t really appeal to me in that either. The story was… well… something and nothing as it is most of the time with open-world games. All the people you meet never seem to have any significant story or background to me. They are just there. And after trying them as partner for a while they usually annoy me so much that I prefer to fight alone. – Holy poop bags, not even the dog made it as partner for me because his AI was just so unbelievably stupid, haha! The battle system many found players of the franchise like so much… I don’t know. But what is the point of playing with guns without having to aim yourself? 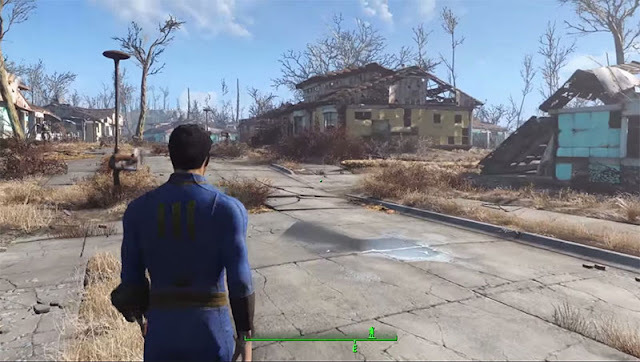 So yeah, maybe mods can add a whole new dimension to Fallout 4. Maybe they already have? I don’t know. There could be already several mods out there addressing the problems I’ve had with the game – especially regarding the settlement building. Have fun my friends but my Fallout cruise has ended; the weather was bad, the service poor and the price way to high for the Mediterranean. I will book my next vacation somewhere else.